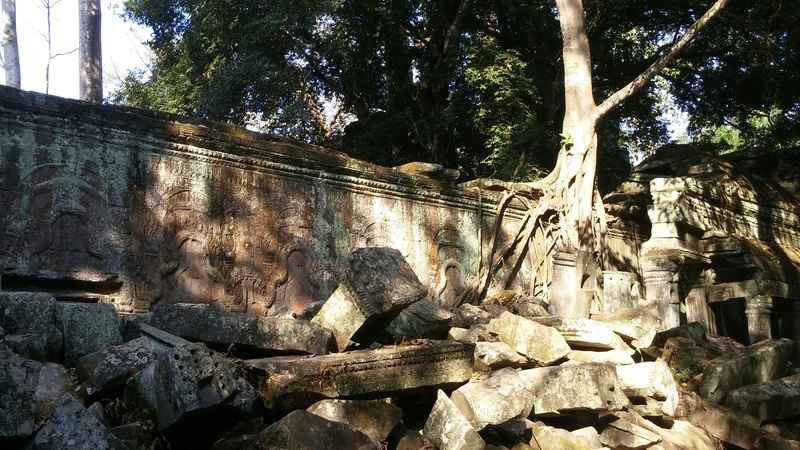 Ta Prohm is a poster child for the “life after people” effect: nature gradually takes over and reasserts her primacy over the works of us puny humans. 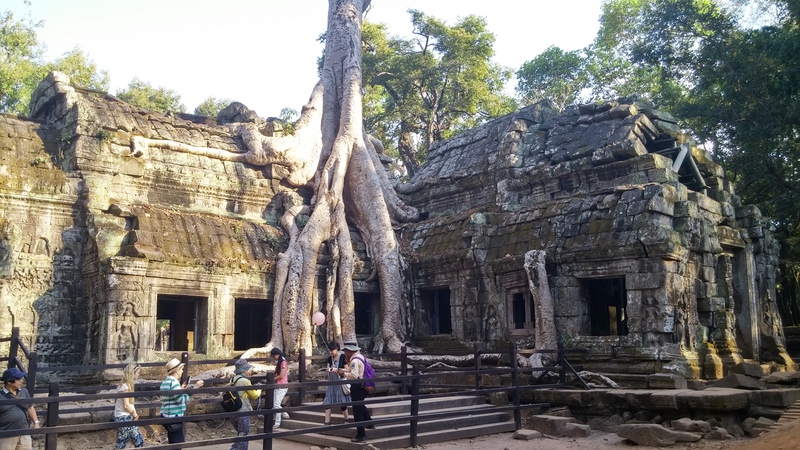 And here’s a bonus image showing another of my favourite scenes from Ta Prohm. In the foreground, you can see the destruction wrought by the tree as its roots worked their way through the structure. All of the Angkor archaeological region, which is best-known for the Angkor Wat Temple, is collectively a UNESCO World Heritage Site. 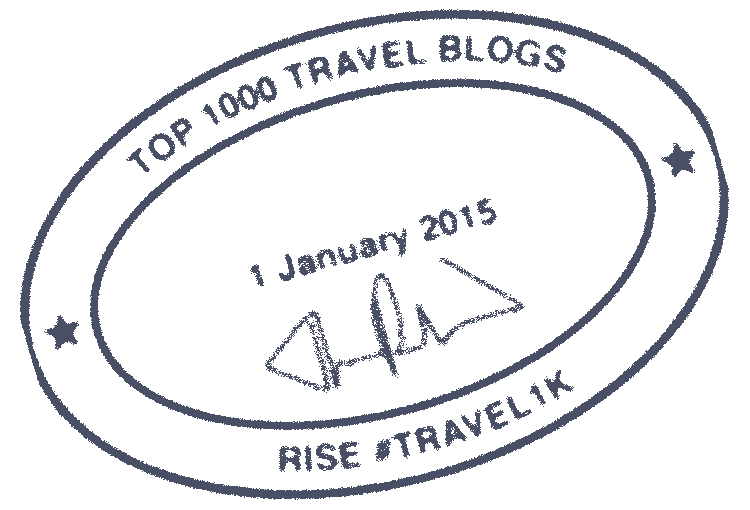 Do you like visiting the ruins of once-great structures? Now that this blog is up and running again, the end of the work week means it’s time for another weekly photo from the travels that I’ve already completed. Today’s featured image comes from Pripyat, a ghost town near Chernobyl in the Ukraine. In Pripyat there’s a small amusement park that was supposed to open on May Day (May 1), 1986. 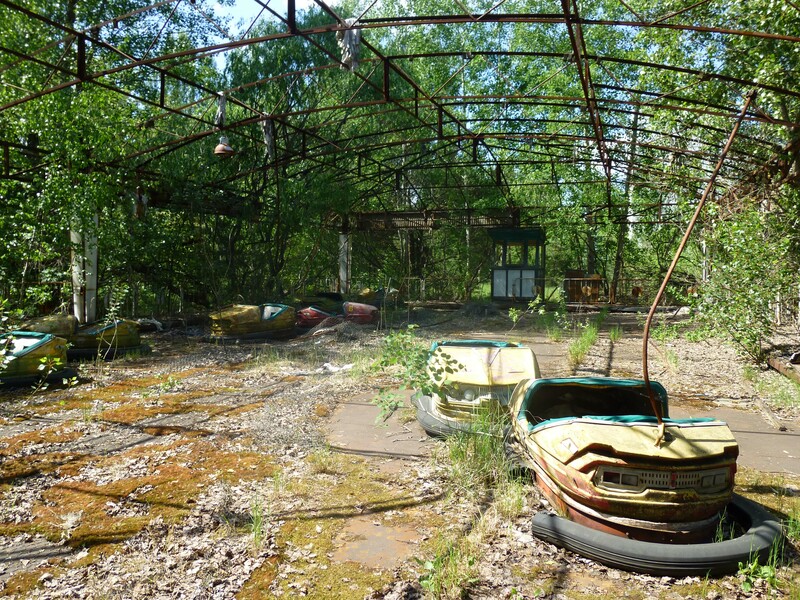 Due to the catastrophic accident at Chernobyl’s nuclear plant on April 26, 1986, Pripyat was permanently evacuated and the amusement park never opened. This scene is a reminder that in the end, nature always reclaims her own. This photo was taken during my visit to the Russian Federation, the Ukraine, and Moldova in May 2013; and it’s easily my favorite photo from that trip. Oh, and one other thing: Ben Affleck??? I mean, really?